Five alumni artists discuss the ways in which they think of time, use time, and incorporate time into their works. 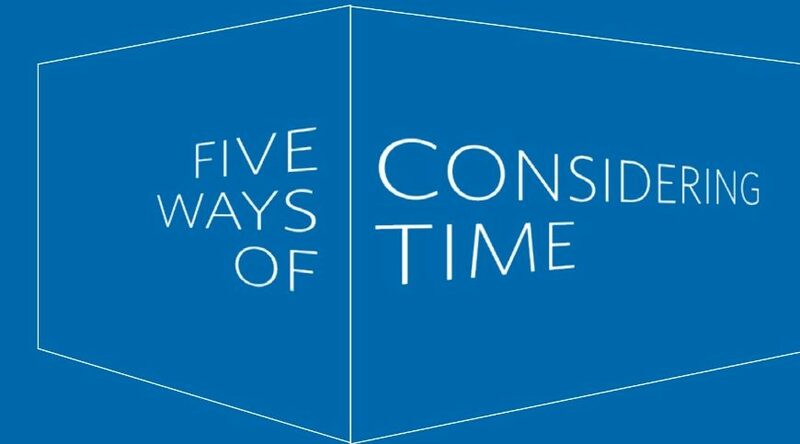 Tanaz Eshaghian ’92, Nadia Ghent ’75, Judy Glantzman ’74, Lizzie B. Hutton ’91, and Vincent Katz ’78 describe the ways in which time is an essential part of the creative process. But the visas did eventually come through, and once the family arrived in the United States, Eshaghian acclimated quickly. “When we finally got to the US, we arrived in Los Angeles—but soon we moved to New York,” she says. “The school in New York put me in second grade for three months, and then moved me to third grade. It was an interesting time. I remember watching The Smurfs the whole weekend straight and picking up some English right away. Watching cartoons is a great way to learn English. Working now as a documentary filmmaker, Eshaghian is fascinated by her inability to remember much of her own early childhood. The film explored her thoughts about her own Iranian-American identity as a young woman and what it meant to grow up immersed in western culture while surrounded and supported by her loving, Iranian family. The film also featured interviews with former boyfriends, in which she asked the men why their relationships hadn’t worked out. For Eshaghian, understanding her divided identity required a deep dive—not into her own memory, but into the memories and cultural understandings of the people who surround and support her. And on that journey, she discovered, too, that her “ability to navigate through the place while also seeing things from an outsider’s perspective” was what made her such an effective documentarian. “In Afghanistan there are very, very strict cultural laws that lead to an ingrained understanding of how you behave...it’s very traditional,” she says. “As a woman in Afghanistan, you usually marry at a young age, and you marry the person your family chooses for you. These women who have committed ‘moral crimes’ have transgressed that tradition. For example, this woman liked her neighbor. She thought her neighbor was cute and so she pursued him, creating a moral mess. Because of the composition’s unconventional structure, Ghent says the conductor’s role was to direct the timing and unfolding of the piece. The musicians themselves were held in anticipation of how long the entire performance would be. Ghent had her own concerns regarding the length of the performance. “The other issue was that, at the time, I was pregnant with my first child and I was really worried about being able to get to the bathroom,” she says. “When one is pregnant, not being able to get to the bathroom can be a constant concern. I was wondering, ‘Can I sneak off the stage? Will anybody notice?’ I mean, that was delusional. Of course people would notice.” She laughs. The performance ended up running just over two-and-a-half hours and, she says, “I remained on the stage the entire time. Over twenty-six years, Ghent’s love of music endured but required flexibility, resilience, and her own evolution. When her husband accepted a job in Southern California, she was willing to make the move, but was confronted by the realities for a freelance musician: opportunities were fewer and farther between, and the arts culture was unequal to that of New York City. 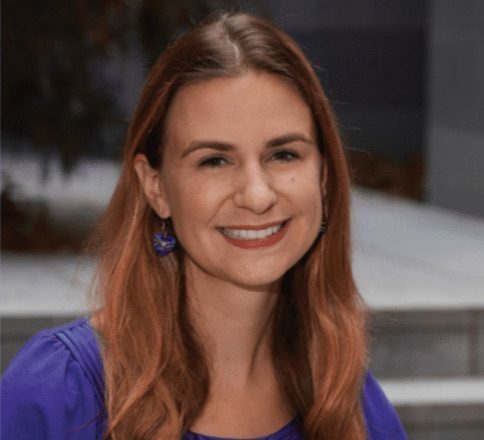 Over time, she found that being around young people as they discovered their own love for music was incredibly fulfilling and she became a music teacher. But then, the family had to move again. But Ghent finds that articulating some of that feeling has generated useful and profound realizations. “I want to break apart the cliché of ‘You can’t go home again,’” she says. “You know, we can hop from place to place, or career to career, or identity to identity, but there’s something that continues and links it all together—and that’s the ability to look back on what has been left and honor it. From her time as a violinist, Ghent confirms that a significant part of a musician’s role is in translating classical music for the ears of contemporary audiences. “Even the tonality of music has shifted over time,” she says, “so the note that we call A used to be at a different pitch just 150 years ago. And rhythm was not standardized until around Beethoven’s time. Some of the metronome markings that he would notate in his scores are practically impossible to reproduce. In fact, the metronomes that were produced then didn’t seem to be completely accurate—or perhaps the difficulty was that Beethoven couldn’t hear it.” According to Ghent, the modern instruments used now sound very different from instruments in earlier centuries. “That’s part of the way that music needs to evolve so that we can bring that composer into the present time across a span of centuries. In the city, the stars disappear. Light traveling from the most distant galaxies becomes diffuse, like dust, a pale light scattered across the evening sky. He asks me what I see when I look up, between the Empire State Building and the rooftops, and I tip my head back so far that I think I will fall backwards onto the pavement. He steadies me, holds my hand. He asks how long I think it’s been since that light first started its journey to our eyes, when it was that the starlight began to shine, and I can think of only one thing: how long will he be my father before time runs out? Nothing is containable. The ancient Greeks looked out into the darkness of their sky that reflected back what they imagined they would see: a dog, a dipper, a bear, a lyre. I see a large man outlined in the light, I see only my father looking for the stars. To the Greeks, that broad stretch of pale dusty luster stretching across the night sky looked like milk spilling from the center of the universe. Once spilled, never contained. And then the Via Galactea becomes our Milky Way, the word “galaxy” traveling through time like that light, thousands or millions of years of distance and language and space. On Saturdays, he takes me to the Hayden Planetarium and brings me home late, when it is already night. I am anxious about time, and how often he is late. He is always late. Light traveling from the most distant galaxy has been in motion for 14 billion years. Each week I travel between my mother and my father, one eclipsing the other, each week navigating this distance that only lengthens over time. How much time will pass before I know that he is anxious too, the way these few hours of fatherhood will slip through his fingers, hours collapsing into minutes into seconds that are linear, in motion, irretrievable. Each week, I watch for him from the window, waiting. In divorce, there is a custodial parent and a non-custodial parent, and I think of custodians and their brooms sweeping away our broken family. At the planetarium, we watch the sky show, the illuminated points of light above my head that stand in for stars. Some of the lights don’t work, and there are cracks in the plaster of the domed ceiling. I know the outlines around the constellations are not real, that when he whispers in the dark to me that he would like to be John Glenn, it is not real, that words like milk and galaxy and father will change and soon mean something else, that time will pass and I will not remember what he meant. He wants to be John Glenn, the hero-astronaut circling the Earth three times in 1962, his plunge on fire back to the sea, the way the spacecraft bobbed on top of the waves. He was brave, he was rescued, he didn’t die. His wife and children and everybody loved him. It was because of friction, my father explains to me, the force of the atmosphere against the heat shield, how hot it must have been inside. What did John Glenn see outside the capsule window before descending? Did he see an infinite dark beyond the blue, how light throbbed towards him and then receded on every orbit? He saw what’s out there, my father says, imagine what he saw, and he has tacked a picture of John Glenn he’s torn out from Life Magazine on his apartment wall. In his apartment there is John Glenn’s picture, a bed, a chair, a plate, a fork, a knife. Imagine what’s out there, he says. You can be a scientist, he tells me, girls can be astronomers too. You’ll be the Madame Curie of the telescope! You’ll go to the moon in the year 2000! Women will be astronauts and walk on Mars! But I can’t see in the dark, there are cracks in the ceiling, the outlines are not real. When the lights come up, he’s gone. What is the nature of bodies long in orbit? Even light changes as it travels, and words change meaning over time. Milk becomes galaxy, father becomes absence. Spilled becomes uncontainable scattering across the evening sky. In the city, it’s too bright to see the stars. Imagine them, he says, as we look up beyond the rooftops, as his hand slips out of mine, imagine that you can. They’re there, he says, they’re always there. Judy Glantzman is a visual artist working in painting, drawing, and sculpture. 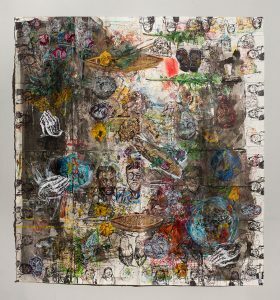 Her work often references time in its process, in the “incidental,” in personal and political history, and in the interplay between viewer and artist. Recently, Glantzman was the Dartmouth College Winter 2018 Artist-in-Residence. The work, unfolded, is a large, continuous work—a patchwork representation of her practice in compartmentalizing. By comparison, Glantzman’s residency at Dartmouth College has been a very different experience: Her studio is spacious, and her day is unlimited. The generous time allowance has changed her approach—and her process—dramatically. Glantzman feels those micro-moments are worth preserving, as a way of observing and elevating the unnoticed, gone-in-an-instant flashes, and cataloging them into human experience worth remembering. Those relationships take time to process and transfer to paper or canvas. Even when describing an object literally, each observation—whether voiced aloud or transferred to paper—can set off endless bursts of connection, resonance, and communion. For Glantzman, this journey represents some of the joys and challenges in creating art. Resisting the urge to define and set rigid limitations from the beginning allowed Glantzman to discover powerful themes—about history, time, her own childhood—in the undercurrent of her own work. “I noticed that I was making the shoes in a circle,” she says, “and it looked like a clock, like the shoes were walking around a clock. I just loved that metaphor. I’ve made a series. Glantzman suggests this historical distance can provide directive, questioning, or renewed and resonant perspectives. She strives to create similar responses in a viewer’s experience of her work. Eleven years ago, poet Lizzie B. Hutton experienced a seizure for the first time and lost about a month’s worth of memory. She knew that she wanted to write about the experience, but she has found it difficult, in the years since, to properly express her understanding of the event. “The immediate aftermath felt like remembering a dream: I could remember an ephemeral quality, but I also knew I wasn’t grasping it in its specificity,” she explains. “It’s very hard to write about. It’s writing about an absence, a gap. I write around the edges of it, and I try to describe it, but what I’m essentially trying to do is write about something that no longer exists, even in my own mind. “Because even though I know it happened, and I can name the date when it happened, every time I remember it, I remember it differently. Even though it’s fixed to a date, it’s not fixed in my memory,” she says. “I came to understand how my memory is actually changing minute-by-minute, and my memory of what that experience even was still changes minute by minute. And of course, that moving-target aspect became a real rabbit-hole in my writing. She describes how her mind then flooded with an abundance of questions, even as she accepted that there might never be one single, satisfying answer. “How do we experience time or memory? Or, put another way, how do we experience the conviction that we can remember something from the past; what does that conviction feel like in our bodies? Why can we say, I definitely remember this, but this other thing I definitely don’t remember, and what is it physically and mentally that makes that possible? I was still capable of writing,” she says. “If writing is invention, then why couldn’t I just invent what had happened again? I began to wonder, why was the conviction piece, the truthful piece, so vital to the work of writing, as well? Hutton has found both solace and inspiration in the work of sculptor Eva Hesse, who features prominently in Hutton’s current poetry manuscript. Hutton is as engaged by Hesse’s history—for example, that she escaped from Nazi Germany through Kindertransport—as by her artwork. “Her work is very non-figurative,” Hutton says. “It’s abstract, conceptual art, yet the way she talks about it feels intimately connected with her particular history. Was it a way of coping with her own memory and her past to create this art that feels like a disavowal of the figuratively referential or nostalgic or confessional? She was very much reacting against those approaches—which are these traditionally female approaches to experience—yet I still sense her history in what she makes and does as an artist. Vincent Katz is a poet, critic, and translator. His work ranges broadly and profoundly across history—collaborating with contemporary artists as well as engaging classical texts and languages. 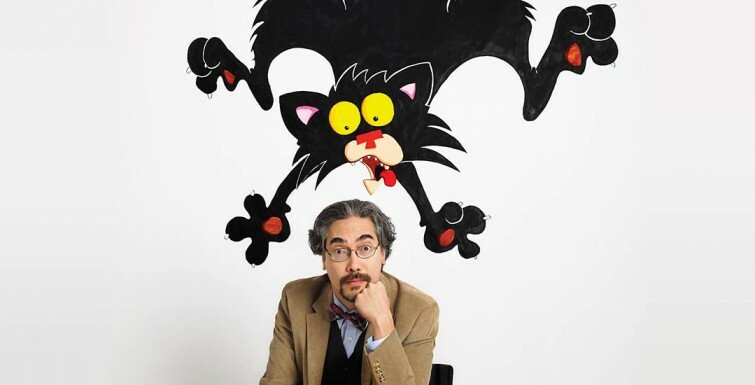 He is the author of the award-winning translation of The Complete Elegies of Sextus Propertius, published by Princeton University Press in 2004, and he is currently at work on a novel based on his time at Oxford University. Is our place, molded, fashioned, of love. Nor does poetry seem valid enterprise. Moving of things in and out of a life. Generation to generation, respect for things. Goes on behind, or underneath. 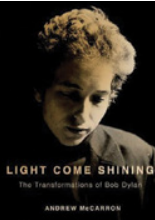 Head of Religion, Philosophy, & Ethics Department Andrew McCarron, author of Light Come Shining: The Transformations of Bob Dylan talks about his book and his interest in Bob Dylan. Did you know that monsters celebrate Valentine’s Day? If you are thinking of roses and chocolate, you are in for many surprises when you meet Diana Murray’s character Groggle, an adorable furry monster with a pink heart-shaped nose who is searching for the perfect valentine for Snarlina, his “beast” friend in the whole wide world. Murray’s fourth picture book, Groggle’s Monster Valentine, is not only a beautifully illustrated and cleverly written story to read aloud to children on Valentine’s Day, but also a resourceful mentor text that Lower School teachers can use to teach literary devices to their young readers and writers. 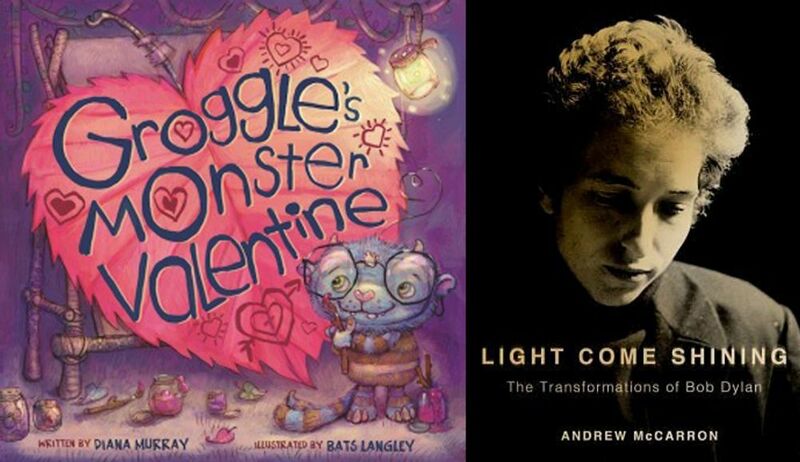 Although I have yet to read aloud Groggle’s Monster Valentine to our Kindergarten students, I am certain it will become one of their favorite Valentine’s Day picture books. Much like adult readers, children love stories that strike a balance between relatability and unpredictability. Murray has a keen insight into how to let her readers relate to Groggle and also knows when and how to surprise her unsuspecting readers. In the book, Groggle has been up till the wee hours on Valentine’s night working on his cards for Snarlina. Ask any Lower School student, and they can share with you that making even the simplest valentines, let alone some elaborate ones, for your entire class will take longer than you imagined. Groggle collects some bog slime and carefully squirts everything he wants to say in bold, gooey letters. He sprinkles on shiny beetle glitter and gingerly ties on snake bows to decorate his cards. Groggle pours in all this time and effort, to no avail, all due to his monster appetite! Gobble, crunch, crunch, slurp—he scarfs down his card before his bog slime ink has even dried! Not many will know what it is like to guzzle cards like Groggle, but it’s an entirely different matter when it comes to sweets—after all, what fun is it to make valentines without munching on one too many Hershey’s Kisses? After the seventh failed attempt at curbing his monstrous appetite, Groggle decides to hurry over to Snarlina’s with what is left of his last card—slobbery and wrinkled with one smudged word left for her to read: “friend.” When readers meet Snarlina for the first time, she is a sight to behold. Who would have thought Snarlina to be a one-eyed monster that is quadruple the size of Groggle, with deadly fangs and claws? How will she respond to Groggle’s half-eaten valentine? I can just imagine our young readers holding their breaths, fearing the fate of our adorable furry friend Groggle. However, as soon as she sees Groggle at her doorstep, she purrs like a kitten, beams from ear to ear, giddily stomps her hairy feet, and gives him a monster hug after plopping the card in her mouth! Nyum, nyum, nyum, gulp! Murray has taken a somewhat clichéd topic and has created an entirely original narrative that conveys a heartwarming message that your best effort and intentions will be recognized and appreciated. 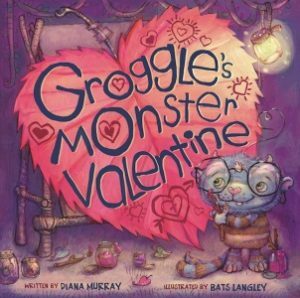 While children will be smitten with Murray’s whimsical characters and Bats Langley’s magical rendition of them, Lower School teachers will value this book for another reason: Groggle’s Monster Valentine is a great tool for teaching writing. The simple letters that Groggle writes to Snarlina are a great model to teach the basic format of letter writing to beginning writers. Every April, which is National Poetry Month, this book needs to be on constant display in the classroom. It provides a humorous example of an acrostic poem, not to mention the plethora of examples of rhymes and alliteration that Groggle uses in his poems: “Roses are red, Garbage is grimy, Here is your valentine, Icky and slimy” or “Your teeth are so green. You’re the prettiest monster that I’ve ever seen.” Murray explicitly wrote on her Web site’s homepage that she “especially love[s] writing in rhyming verse,” and to make teaching rhymes even easier, the words that rhyme pop out from the page since they are highlighted in matching colors! Also, the series of sounds that Groggle and Snarlina make while they munch on their valentines—gobble, crunch, burp, slurp—are perfect examples of onomatopoeia. Last but not least, Murray’s frequent useof oxymorons like “horridly fabulous” and “monstrously super” is in line with the paradoxical motif of a tiny cute monster professing his love to an ill-tempered and nasty beast who drools. If you are in search for a funny and refreshing Valentine’s Day picture book to read with your little monster(s) at home or at school, grab a copy of Groggle’s Monster Valentine for an awfully delightful experience. 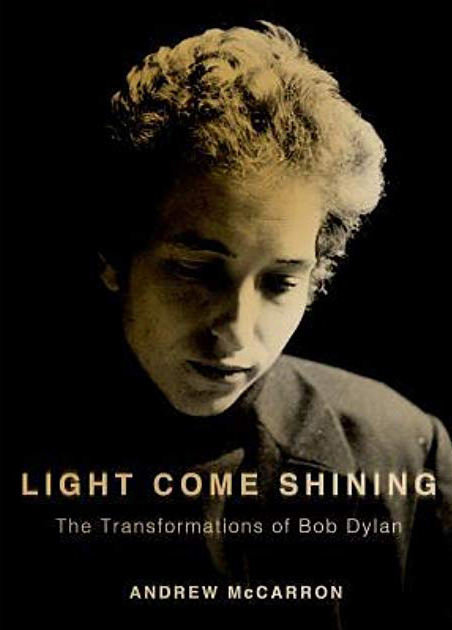 When I was asked to write a review for Andrew McCarron’s new book, Light Come Shining, I took the opportunity to reacquaint myself with Bob Dylan’s extensive body of work. Having lived through the 1960s, toured in a band with my husband for seven years, and raised a family of musicians, I have experienced Dylan’s monumental impact on American music and culture from different viewpoints in my life. 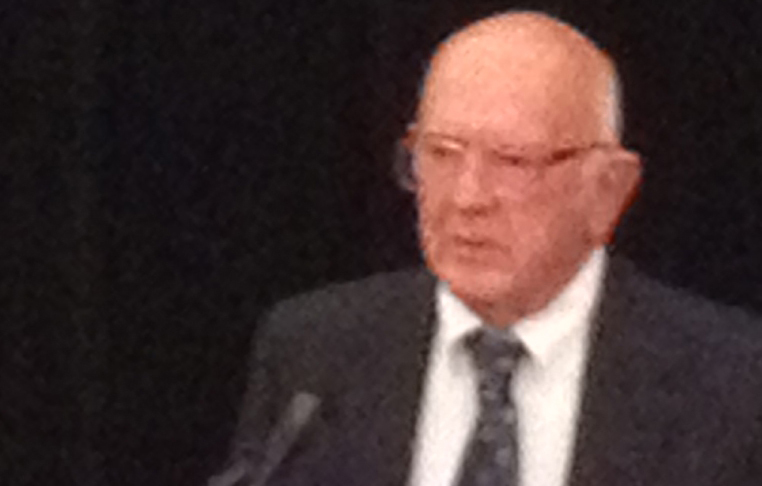 But to listen to his work again, this time accompanied by McCarron’s insights, was an experience altogether new. McCarron is aware—and makes sure the reader knows that he is aware—that his book is a new addition to already exhaustive library of Dylan exposés. McCarron insists, however, that his approach, the “psychobiography,” sheds a different light onto an already overexposed subject matter. The central assumption of McCarron’s psychobiographical method is that, by analyzing key moments in a person’s life, one can create a holistic portrait, or what McCarron calls a “common script.” McCarron’s project is especially apt for a figure such as Bob Dylan, whose famous transformations and conflicting identities have dumbfounded many a fan and critic. In addition, the mountain of speculation, rumor, and fanaticized theory-making surrounding Dylan has elevated the artist to legendary, almost mythical status, making Dylan himself indecipherable to the point of mysticism. McCarron aims to undercut the noise with this psychobiography, certain that somewhere in Dylan’s many transformations and manipulations lies the common script of his life. Light Come Shining is McCarron’s ambitious venture to see logic where others see chaos, to find a common thread when others are bewildered by Dylan’s existential meanderings. McCarron’s prose is at times intimidating for readers unacquainted with academic psychology, as well as for those non-initiated in the literature surrounding Bob Dylan. Still, whether you are a fan of Dylan, McCarron’s psychobiography is well worth reading. I recommend reading it as I did—while listening along to Dylan’s work as it is referenced in the book. If you are familiar with Dylan’s work, McCarron provides refreshing context for listening and experiencing Bob Dylan anew. If you are uninitiated, this book can be your curator through your exploration of the artist’s legacy and intimidatingly expansive body of work. Last Word A Middle School Teacher of Mathematics Considers Time By Janine Cuervo Favorite Math Concept: Golden Ratio Favorite Poem: "Desiderata” by Max Ehrmann Favorite Book: The Four Agreements by Don Miguel Ruiz Favorite Hobby: Yoga Favorite Sport: Tennis Favorite Sports Team: Green Bay Packers Every summer as the school year inches closer, I reflect on my time spent at Trinity and think about the time I will spend teaching in the upcoming year. I embrace the combined feelings of enthusiasm and anxiety as I begin to think about the number of things I must prepare before the first day of school. I feel the constant pressure of time, wishing for more hours in the day, every day. Many of us feel the same limitations of time in some context, whether you’re a fellow colleague, parent, or even student. With the busyness of our day-to-day life, time can often present itself as a constraint, but this year I will try to look at it with new eyes and view time as an opportunity. The truth is, there are many components of time in a teacher’s life, in addition to teaching. These responsibilities and classroom interruptions sometimes encroach on the time we have with our students or time to plan and reflect on our lessons. However, instead of perseverating on lost time that we cannot always control, I have begun to think of the opportunities that time does allow. This year I choose to see time as an opportunity within three core areas of my teaching practice: future planning, present teaching, and past reflection. Planning lessons with my math colleagues is representative of the future time I will spend with my students. We set aside time to plan together and discuss how our students engage and grasp the material. Designing each lesson with a variety of learning experiences helps us focus on the learning objective, student engagement, enriching questions, and ways to assess understanding. We will continue to maximize our planning time together because we cherish building on each other’s ideas to create the best learning opportunities for our students. Present teaching is the time I spend with my students daily—the classroom is my stage, and each day is a new beginning, with both predictable and unpredictable opportunities for learning and growth. Teachable moments—where students share their own experiences with math by exploring topics and engaging in conversation—represent the most valuable time we spend together. When they occur, I face a choice: to pursue the conversation or to move ahead with the curriculum. In previous years, my mindset would repeat, “There’s not enough time! I must teach the quadratic formula so they know it in ninth grade! I need more time!” But this year, I want to truly embrace these moments of unexpected learning and focus on the time that I do have with my students. Everyone needs time for reflection to improve. Over the summer I use time to reflect on my work in the previous year and to refine previous lessons. I am thankful that Trinity provides me with the opportunity to engage in grant work so that I can review what has gone well, make improvements on my curriculum, and collaborate creatively with my colleagues. This additional time for reflection helps me learn, grow, and offer a fresh, more meaningful perspective moving forward. How can we find more opportunities for reflection to inspire our future? Moving forward with this new mindset I will not let the constraint of time control how I plan, reflect, and especially teach. After all, being with my students, seeing their “light bulb” moments, learning from them, laughing with them, and crying with them, is the heart of my career, my passion, and my life. I challenge you to also choose to unlock the opportunity of time in your life, career, hobbies, time spent with family (and friends), or reflection. Every summer as the school year inches closer, I reflect on my time spent at Trinity and think about the time I will spend teaching in the upcoming year. I embrace the combined feelings of enthusiasm and anxiety as I begin to think about the number of things I must prepare before the first day of school. I feel the constant pressure of time, wishing for more hours in the day, every day. Many of us feel the same limitations of time in some context, whether you’re a fellow colleague, parent, or even student. With the busyness of our day-to-day life, time can often present itself as a constraint, but this year I will try to look at it with new eyes and view time as an opportunity. The truth is, there are many components of time in a teacher’s life, in addition to teaching. These responsibilities and classroom interruptions sometimes encroach on the time we have with our students or time to plan and reflect on our lessons. However, instead of perseverating on lost time that we cannot always control, I have begun to think of the opportunities that time does allow. This year I choose to see time as an opportunity within three core areas of my teaching practice: future planning, present teaching, and past reflection. Planning lessons with my math colleagues is representative of the future time I will spend with my students. We set aside time to plan together and discuss how our students engage and grasp the material. Designing each lesson with a variety of learning experiences helps us focus on the learning objective, student engagement, enriching questions, and ways to assess understanding. We will continue to maximize our planning time together because we cherish building on each other’s ideas to create the best learning opportunities for our students. Present teaching is the time I spend with my students daily—the classroom is my stage, and each day is a new beginning, with both predictable and unpredictable opportunities for learning and growth. Teachable moments—where students share their own experiences with math by exploring topics and engaging in conversation—represent the most valuable time we spend together. When they occur, I face a choice: to pursue the conversation or to move ahead with the curriculum. In previous years, my mindset would repeat, “There’s not enough time! I must teach the quadratic formula so they know it in ninth grade! I need more time!” But this year, I want to truly embrace these moments of unexpected learning and focus on the time that I do have with my students. Everyone needs time for reflection to improve. Over the summer I use time to reflect on my work in the previous year and to refine previous lessons. I am thankful that Trinity provides me with the opportunity to engage in grant work so that I can review what has gone well, make improvements on my curriculum, and collaborate creatively with my colleagues. This additional time for reflection helps me learn, grow, and offer a fresh, more meaningful perspective moving forward. How can we find more opportunities for reflection to inspire our future? Moving forward with this new mindset I will not let the constraint of time control how I plan, reflect, and especially teach. After all, being with my students, seeing their “light bulb” moments, learning from them, laughing with them, and crying with them, is the heart of my career, my passion, and my life. I challenge you to also choose to unlock the opportunity of time in your life, career, hobbies, time spent with family (and friends), or reflection. Classroom Comment A Grade Five Student Writes About Her Experience of Time By Sonia Kanwar ’26 Favorite Movie: The Sound of Music Favorite Food: Sushi Favorite Books: The Harry Potter Series Favorite Holiday: Valentine's Day Favorite TV Show: The Loud House Favorite Sport: Squash Favorite Author: Enid Blyton Favorite Place: The beach Life is all about time. I used last summer to think about what time means to me. Even when times seem difficult they are usually meaningful. Last summer I moved to a new neighborhood. It was hard for me. I didn’t want to leave the apartment where I lived for the last seven years. I have some really special memories in my old neighborhood where I learned to ride my bike, sled in the park across the street, and begged my mom to get me ices. But I have a lot to look forward to in my new neighborhood—playdates with my friends who live close by, being closer to Central Park, Chelsea Piers, 16 Handles (which is in my new building), and also Trinity. Now I’m looking forward to being able to sleep for five whole minutes more, which is just another way to think about time. Another thing I realized was that time can pass differently depending on what you like and what you don’t like. Waiting for my brother’s choice on the TV feels like a million years, while on the other hand, me watching TV alone seems to pass in two minutes. Waiting for my dad’s cheeseburgers on the grill seems to take a lot longer than it takes to devour one. I love ceramics, so making pots shaped like my dog, Murphy, takes no time at all. I also realize that long periods of time—such as school years—can also seem to pass by very quickly. Kindergarten seemed to go by the quickest, maybe because it was my first year at Trinity. Now it’s a little surprising to me that I’m already in fifth grade. We all have special moments in time that seem to stand out. Looking back at my five years at Trinity, some of those include the Halloween parade in first grade, the Harlem Renaissance in third grade, and the South Asian Chapel that I participated in. One of my favorite times was researching the borough project in social studies where I got to take my family through Brooklyn, to a great part called DUMBO (Down Under the Manhattan Bridge Overpass). We also went to a cool museum, Prospect Park, and ended the day with Brooklyn famous pizza. Friends can make time feel more special, such as this summer when I spent time with friends in the pool and took surf lessons. We walked to get ice cream at my favorite ice cream place. Going to the beach, playing sports, doing craft activities, playing board games and puzzles, and having water fights all seem so special when you get to do them with friends. But it doesn’t all need to be full of activities. Some of my favorites times are doing nothing, or simply reading, staring into space, or maybe annoying my little brother just a tad. (Shhhhhhhhh! Don’t tell anyone. I don’t want to be grounded for life!) Sometimes we spend more time worrying about something than it deserves. For example, I spent a lot of time worrying about falling off the surfboard if I stood up. Finally, I just decided to pop up and I fell down, but I realized it really wasn’t worth spending time worrying about. Then I got to ride the waves a few times and realized it was really a lot of fun. Time also teaches you the importance of making good choices. It takes a lot less time to make a mistake than it does to fix it. And that time spent fixing can teach you how to make a better choice the next time around. I learned this the hard way when I spilled a container full of watermelon all over the floor even though I was told not to play with it. It took a whole twenty minutes for me to clean it up. I’m not doing that again. Another way time can go by slower is if I’m really hungry and just ordered food at a restaurant. It can feel like hours before it finally gets to the table. At the end of the summer, I made some goals for how I want to spend my time. I decided I want to spend it making memories with friends, working hard, learning new things, and most importantly, having fun. I hope now you see how important time is! Life is all about time. I used last summer to think about what time means to me. Even when times seem difficult they are usually meaningful. Last summer I moved to a new neighborhood. It was hard for me. I didn’t want to leave the apartment where I lived for the last seven years. I have some really special memories in my old neighborhood where I learned to ride my bike, sled in the park across the street, and begged my mom to get me ices. But I have a lot to look forward to in my new neighborhood—playdates with my friends who live close by, being closer to Central Park, Chelsea Piers, 16 Handles (which is in my new building), and also Trinity. Now I’m looking forward to being able to sleep for five whole minutes more, which is just another way to think about time. Another thing I realized was that time can pass differently depending on what you like and what you don’t like. Waiting for my brother’s choice on the TV feels like a million years, while on the other hand, me watching TV alone seems to pass in two minutes. Waiting for my dad’s cheeseburgers on the grill seems to take a lot longer than it takes to devour one. I love ceramics, so making pots shaped like my dog, Murphy, takes no time at all. I also realize that long periods of time—such as school years—can also seem to pass by very quickly. Kindergarten seemed to go by the quickest, maybe because it was my first year at Trinity. Now it’s a little surprising to me that I’m already in fifth grade. We all have special moments in time that seem to stand out. Looking back at my five years at Trinity, some of those include the Halloween parade in first grade, the Harlem Renaissance in third grade, and the South Asian Chapel that I participated in. One of my favorite times was researching the borough project in social studies where I got to take my family through Brooklyn, to a great part called DUMBO (Down Under the Manhattan Bridge Overpass). We also went to a cool museum, Prospect Park, and ended the day with Brooklyn famous pizza. Friends can make time feel more special, such as this summer when I spent time with friends in the pool and took surf lessons. We walked to get ice cream at my favorite ice cream place. Going to the beach, playing sports, doing craft activities, playing board games and puzzles, and having water fights all seem so special when you get to do them with friends. Sometimes we spend more time worrying about something than it deserves. For example, I spent a lot of time worrying about falling off the surfboard if I stood up. Finally, I just decided to pop up and I fell down, but I realized it really wasn’t worth spending time worrying about. Then I got to ride the waves a few times and realized it was really a lot of fun. Time also teaches you the importance of making good choices. It takes a lot less time to make a mistake than it does to fix it. And that time spent fixing can teach you how to make a better choice the next time around. I learned this the hard way when I spilled a container full of watermelon all over the floor even though I was told not to play with it. It took a whole twenty minutes for me to clean it up. I’m not doing that again. Another way time can go by slower is if I’m really hungry and just ordered food at a restaurant. It can feel like hours before it finally gets to the table. At the end of the summer, I made some goals for how I want to spend my time. I decided I want to spend it making memories with friends, working hard, learning new things, and most importantly, having fun. I hope now you see how important time is! 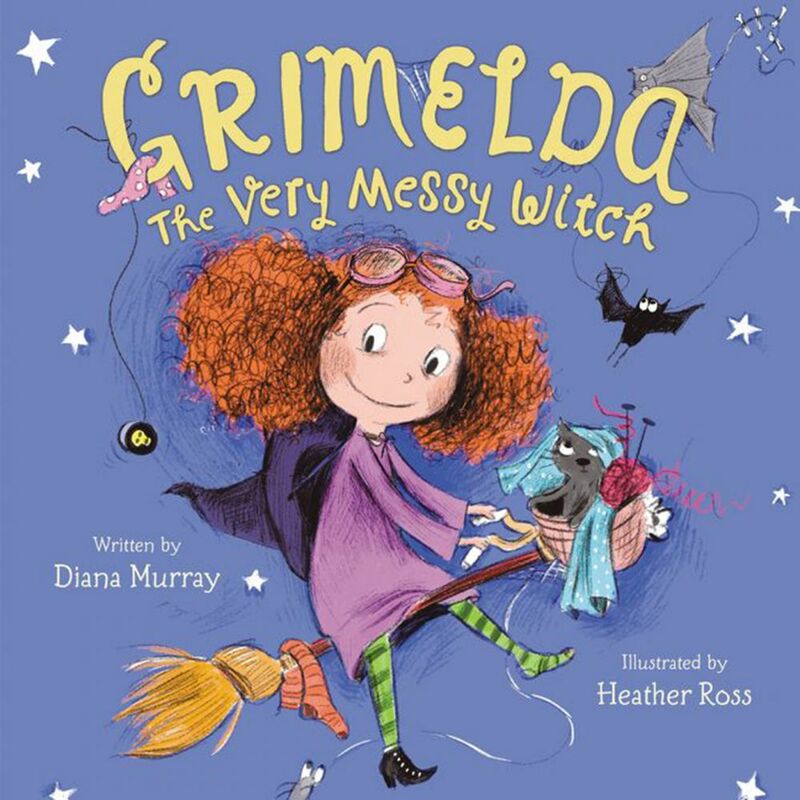 Diana Murray ’90—the author of City Shapes, Doris the Bookasaurus, Grimelda: The Very Messy Witch, Groggle's Monster Valentine, and Ned the Knitting Pirate,—describes her life as an author of children's books. 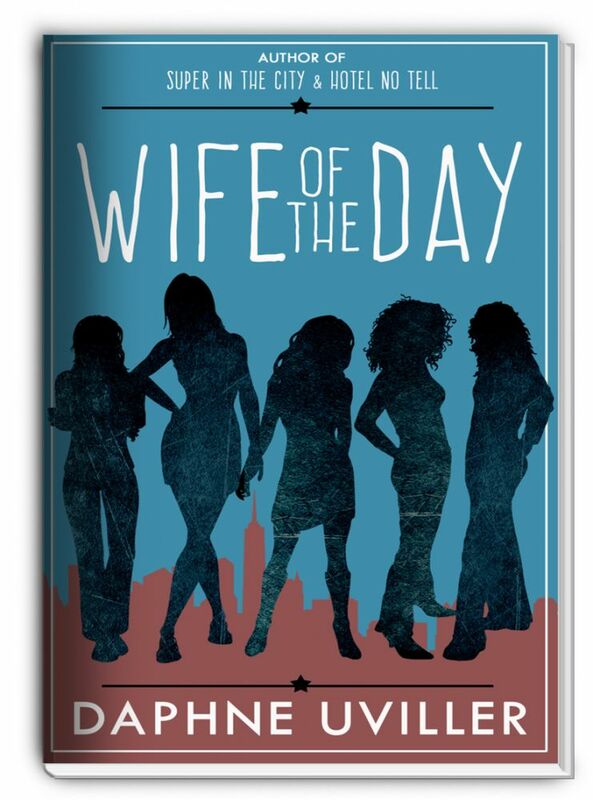 The author of "Super in the City," "Hotel No Tell," and "Wife of the Day" talks about her growth as a writer. 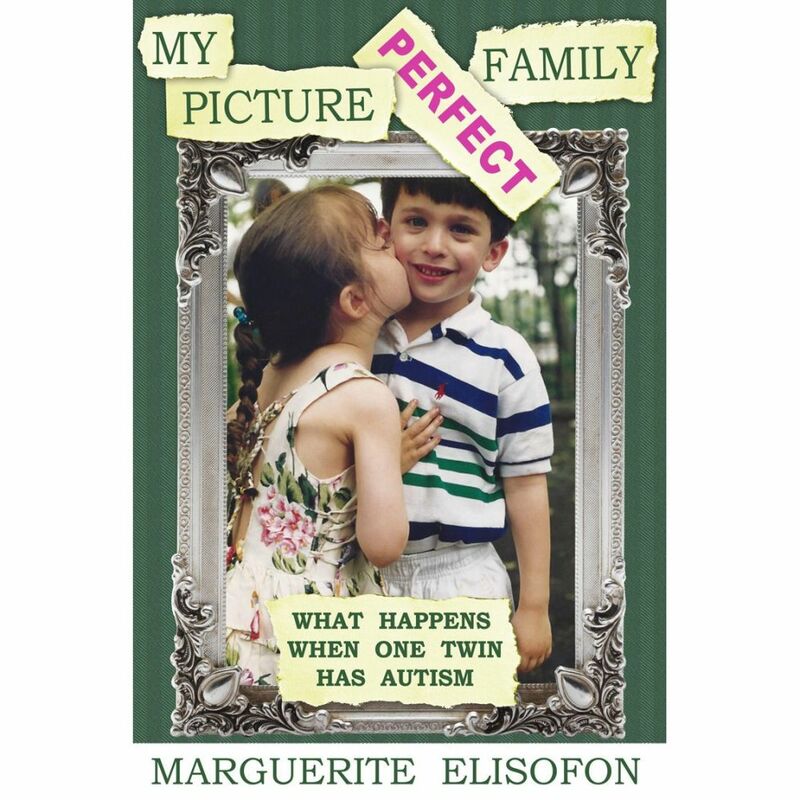 The author of "My Picture Perfect Family" talks about her experiences raising her twin children. The author of Bad Kitty Drawn to Trouble, Bad Kitty Goes to the Vet, Bad Kitty Makes Comics and You Can Too!" and many other books describes how he became an author and illustrator. 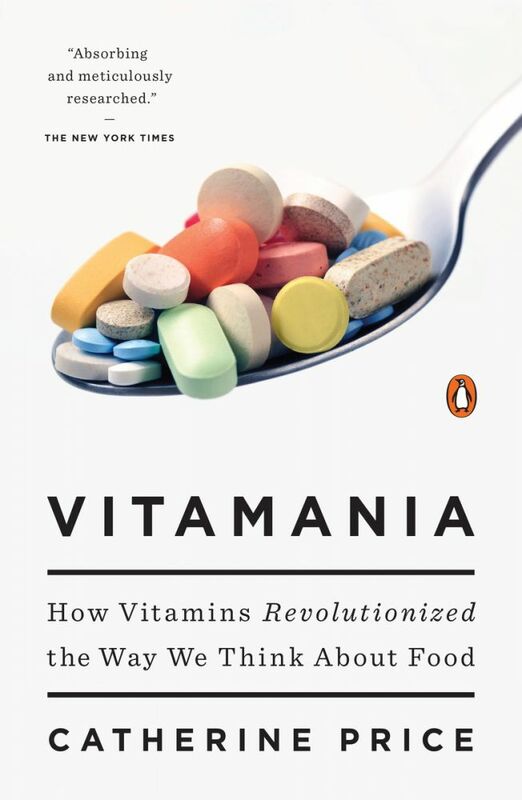 Watch an interview with the author of Vitamania: How Vitamins Revolutionized the Way We Think About Food and learn about her research into the history and current use of vitamins. 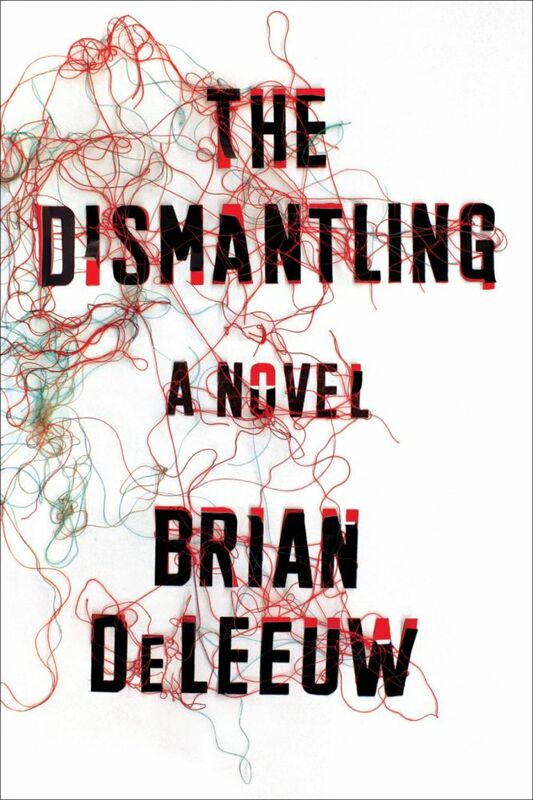 Watch an interview with the author of The Dismantling and learn about his process in writing this novel about the world of illegal organ sales. 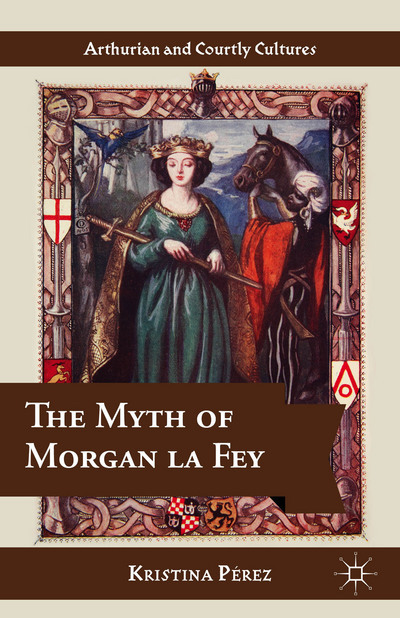 Kristina Pérez ’98, talks about her book, The Myth of Morgan la Fey and discusses the changing roles and interpretations of one of the most powerful and enduring female characters in English literature. Her book is reviewed in the summer 2015 edition of Trinity Per Saecula. 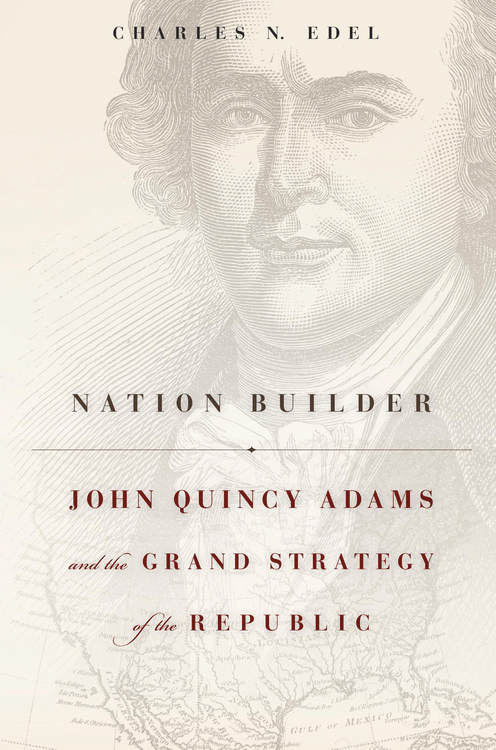 Charles Edel ’97, talks about his book, Nation Builder:John Quincy Adams and the Grand Strategy of the Republic and the importance and relevance, in today’s world, of the sixth president of the United States. His book is reviewed in the summer 2015 edition of Trinity Per Saecula. 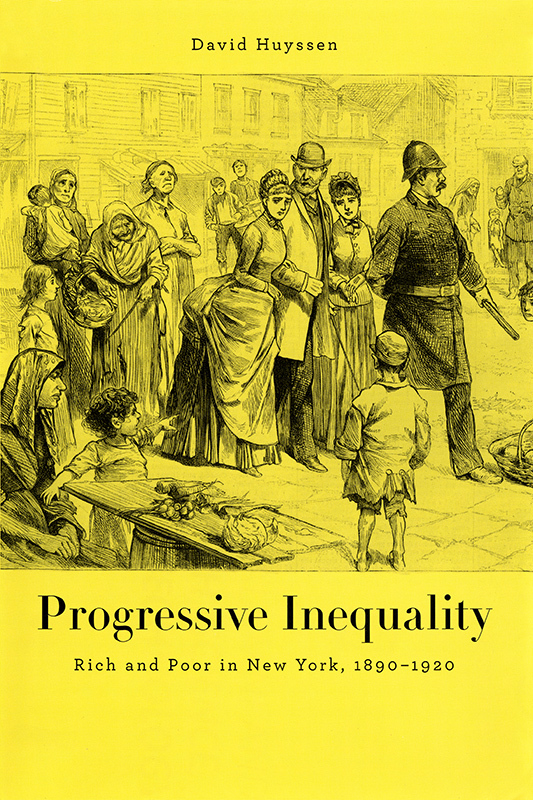 The author of Progressive Inequality: Rich and Poor in New York, 1890-1920 talks about his passion for this period in the history of New York City. 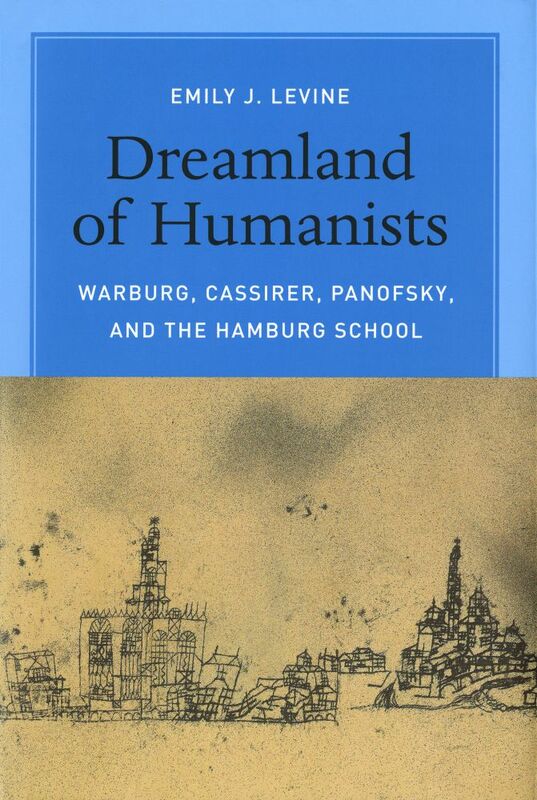 The author of Dreamland of Humanists: Warburg, Cassirer, Panofsky, and the Hamburg School talks about her exploration of the lives of some of the leading voices of the Hamburg School.